We just completed a wonderful Christmas celebration with our sons in Colorado. We stayed in the comfy, newly-settled home of older son Derek and partner Caila. Younger son Eliot joined us, along with "third son" and family friend, Ryan. Assorted other friends of the kids joined us over the course of the day. The gift exchange was great fun. Dennis and Derek made us delicious feasts to celebrate being together. We finished off the day with loads of laughter playing the "Cards Against Humanity" game. For 11 months this past year, Dennis and I dog-sat our son's dog, Dusty, while he was in Australia. While I was not initially thrilled about the idea, I grew VERY attached to this wonderful doggie. We agreed to return him to Derek at our Christmas visit. The drive to Fort Collins with Dusty went very well. He had the back seat to himself and slept most of the way. He settled in nicely to his new home, and was yet another joy of our super Christmas holiday together. Leaving on the day after Christmas is always a bummer for me. Saying goodbye to the kids and facing the seemingly-endless nine-hour drive home is a drag. This year we had the added bummer of leaving "our" doggie there. Not having the dog in the car made for a simpler ride home, and we really are happy that Derek and his dog are reunited. The big blow came, however, when we opened the door to our house and no tail-wagging, smiling dog came racing to greet us. Tears have been flowing freely, because everywhere I look, there's some evidence of a missing pup. I texted Derek, saying "I'm considering dognapping." The past few days have been quite the emotional roller-coaster ride. I will get over my grief regarding Dusty, I know. I keep reminding myself that even though it feels like we lost a pet, he didn't die, we will see him again, and he is with his rightful owner who is ecstatic to have him back. So I will cry as much as I feel like, and eventually I will get motivated to clean the house of the "dog hair everywhere." While the lows of life are not as much fun as the highs, I am grateful that I can fully feel both and the contrast between them. 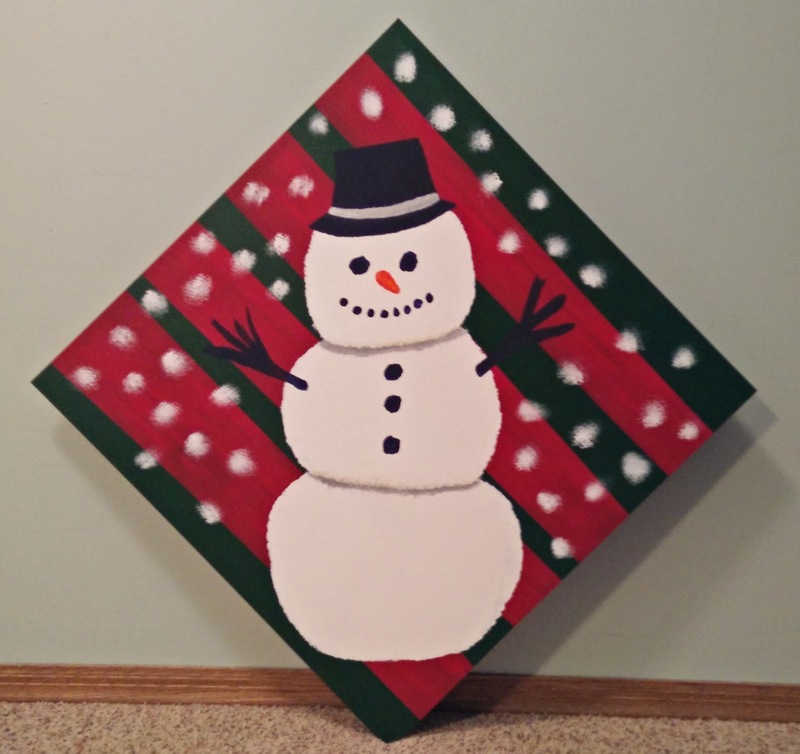 This fine work of snowman art was painted by yours truly, and now hangs by our fireplace. It's not destined for an art museum, but I like it. 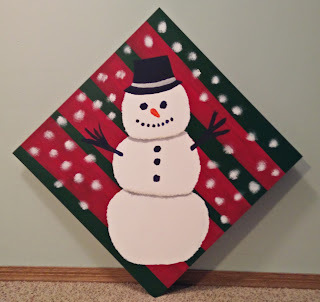 I put it as the background photo on my Chromebook, and each time I open the laptop, the snowman makes me smile. That's good for starters. What items are on your list? Let's spread our smiles around! Leta Miller is a spiritual living coach residing in Wichita, Kansas. Sharing her passion for life, she facilitates classes and playshops and offers individual coaching sessions and group programs. Leta is a Level 1 Certified Forrest Yoga Instructor offering private yoga instruction in Wichita and classes at Clearwater Wellness Center west of Wichita. Leta is also a MELT Method Hand and Foot Instructor, offering workshops, private instruction and classes in Wichita and Clearwater. She is the author of the book "WHOA! Slow Down and Ponder a Life of Wholeness, Health, Openness and Action." Leta’s website is www.believeenterprises.com.